Valiant is proud to present your first look at the upcoming VALIANT x CGC REPLICA VARIANT SERIES — a first-of-its-kind variant cover collaboration between the largest independent superhero universe in comics and the Certified Guaranty Company (CGC)! 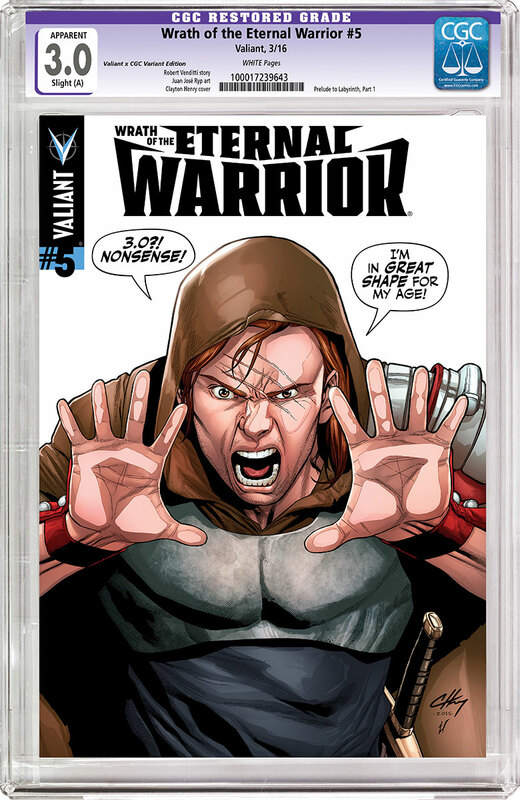 Beginning in January and continuing monthly throughout the year, Valiant’s biggest new releases of 2016 – including the breakout star of HARBINGER’s first-ever solo adventure in FAITH #1 (of 4), the opening chapter of “STORMBREAK” in IMPERIUM #13, and the debut of ARCHER & ARMSTRONG‘s all-new ongoing series in A&A #1 – will each be hitting comic book shops everywhere with a fun-filled shelf cover colliding a different Valiant hero with a printed reproduction of CGC’s trademark grading cases! 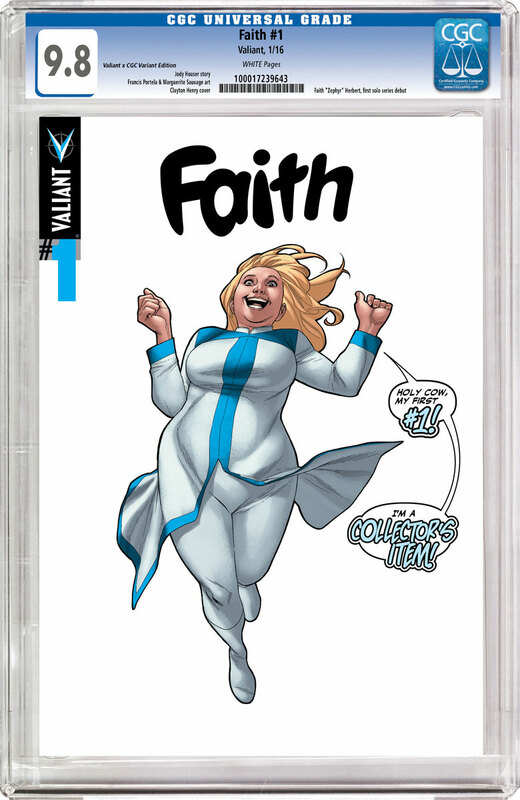 Look for new installments in the VALIANT x CGC REPLICA VARIANT SERIES to be announced all year long! 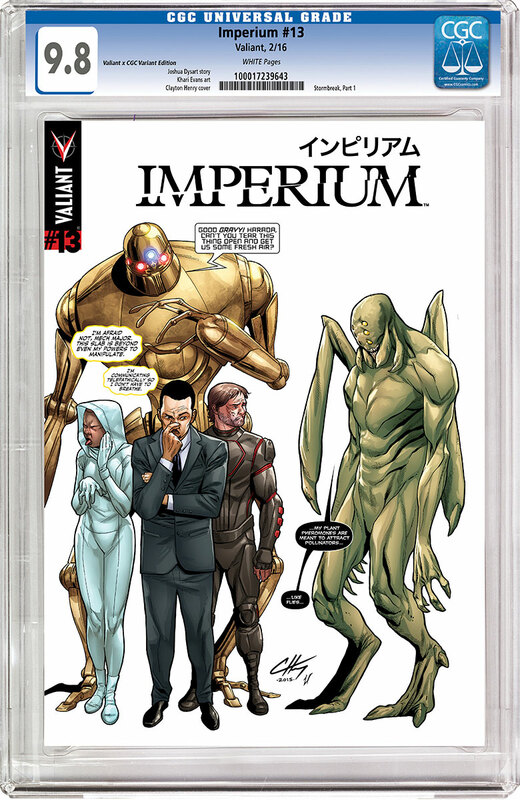 Please note: Each VALIANT x CGC REPLICA VARIANT will be available for retailers to order in unlimited quantities and will be made available at Valiant’s standard suggested retail price. 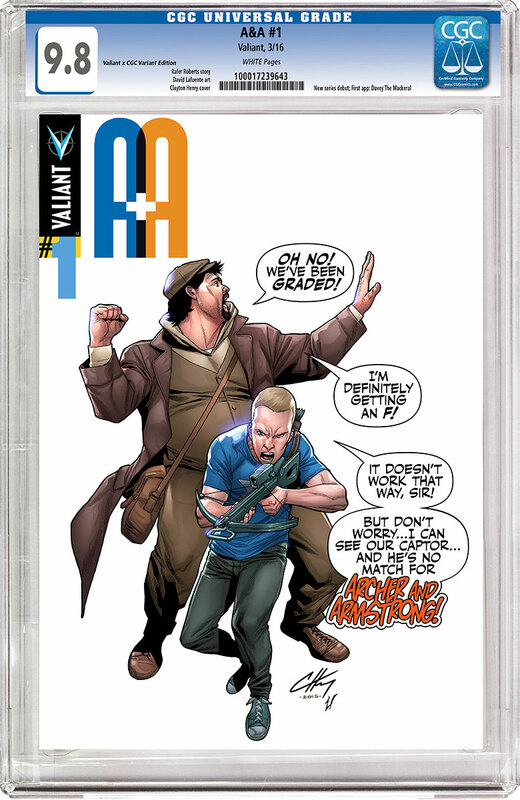 Printed on Valiant’s standard paper stock, the VALIANT x CGC REPLICA VARIANTS are for entertainment purposes only and will not come graded or encased in plastic. 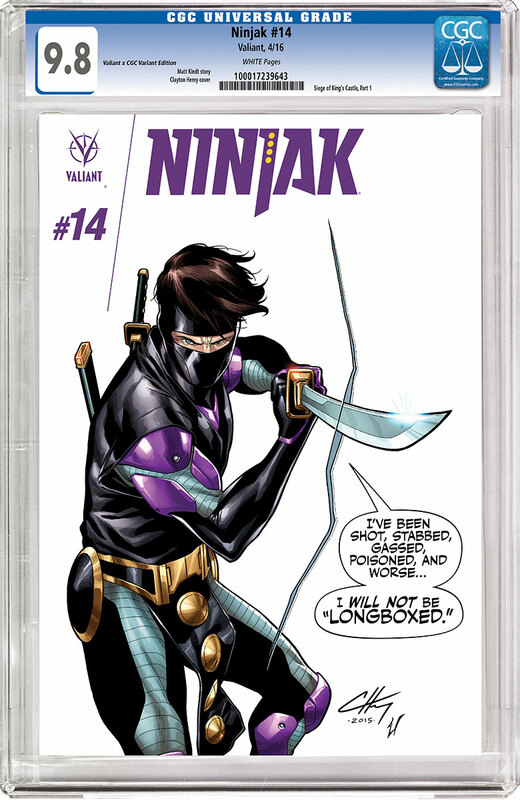 Furthermore, the grades assigned on the printed copies of each VALIANT x CGC REPLICA VARIANT may not be representative of the issue’s actual physical condition.